As the sun sets on another day children everywhere migrate indoors to peck away at their iDevice, play games on Playstation or binge watch Netflix shows. Give your children another option. One that’s disconnected. One that’s healthy. There is always time for one more game with the Goal Light LED. 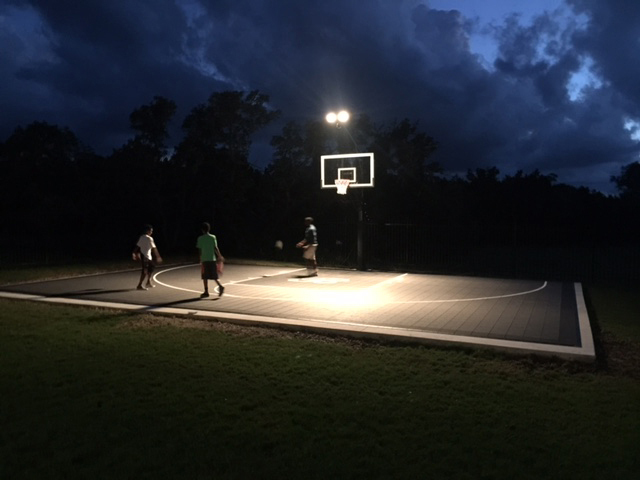 The Goal Light includes two powerful LED lamps that pump out 8,000 lumens illuminate your court to the three-point line. The lamps are suspended over 16 feet above your court with a heavy-duty 1.25 inch 11 gage square steel tubing. 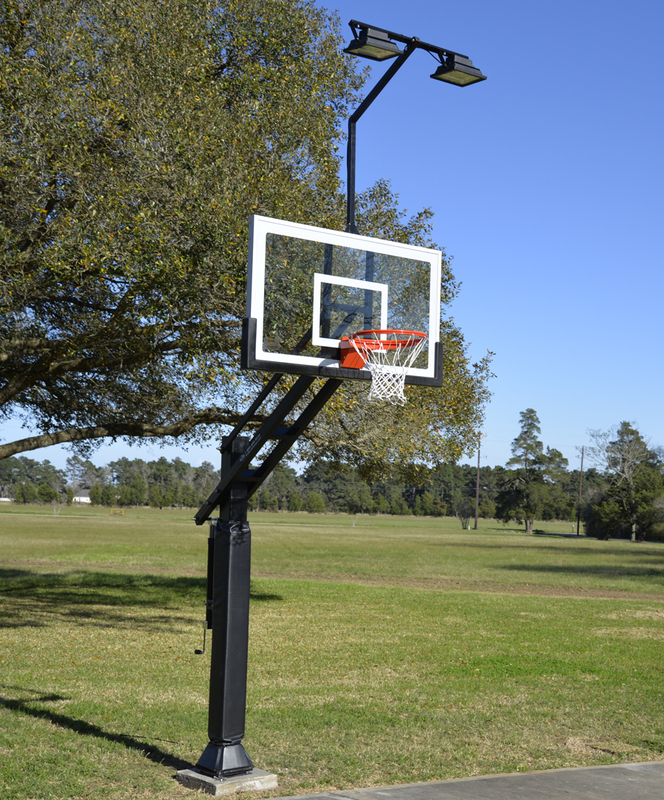 Optimal lamp placement reduces distracting shadows on the court and ensures you never shoot into blinding light. Do I need an eletrician to hook up power? No, you can simply run an extension cord out when you're ready to play. Do I need a ladder to install it? One 8' ladder should be all that's necessary with Pro Dunk basketball systems as you can lower the system to it's lowest height to mount it to the top of the backboard. Is drilling or brackets necessary? Absolutely not. The bracket attaches using predrilled holes at the top of the backboard. What systems will it work on? Pro Dunk or Hercules basketball systems. 100 watts per lamp, much less than classic halogen alternatives. How long can I expect the lamps to last?